West Virginia’s higher education system boasts 11 public institutions for undergraduate and graduate studies, including Marshall and West Virginia Universities. In addition, two year degrees may be had at one of the ten community and technical colleges around the state. Declared a state by President Abraham Lincoln during the Civil War, West Virginia is the only state to be designated by Presidential Proclamation. It was famously declared the home of blue ridge mountains and country roads by John Denver, and offers a wide variety of outdoor activities both recreational and scholastic, ranging from skiing and hiking to cave and archaeological explorations. Indeed, West Virginia is a state rich in political history with a beautiful diversity of cultures and geography, making it a wonderful place to pursue studies in all disciplines, while offering many outlets for breaks from studying. Though the thought of starting college is exciting, many students find that they need help financing their education costs. It is highly reccomended that you exhaust all your grant and scholarship options first, and any employment opportunities you may have. However, the cost of college can often not be met without the help of student loans. The realm of student loans can be confusing for the uninitiated. Luckily, there are several resources available to help with the process. American Education Services (AES) was established by the Pennsylvania Higher Education Assistance Agency (PHEAA) to guarantee and service a variety of Federal Family Education Loan Program (FFELP) and private (alternative) student loan products for their lending partners through out the nation. PHEAA conducts its student loan servicing activities nationally as AES and FedLoan Servicing. AES provides customer service to millions of student loan borrowers. In addition, they offer loan servicing and debt management help. A good starting point for students is to apply for federal loans. The most common, of course, are the Stafford Loans. Federal Stafford loans are fixed-rate student loans for undergraduate and graduate students attending college at least half-time. 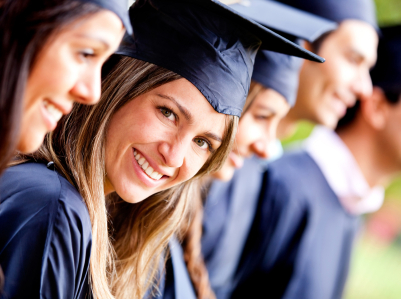 Stafford loans are the most common and one of the lowest-cost ways to pay for school. There are also Perkins and the PLUS Loans, in parent and graduate student versions. Several types of loans are available to cover college expenses – both federal and non-federal. Students and/or parents of dependent students may borrow up to the full amount of their estimated Cost of Attendance (COA) or budget each academic year. Since July 1, 2010, federal student loans are no longer being disbursed through FFELP. Now they are managed through the U.S. Department of Education’s Direct Loan Program (DLP). Stafford and PLUS loans are managed through the DLP, Perkins loans are managed by the schools themselves, who distribute federal funds to students in the greatest financial need. The first step in applying for any type of federal loan is filling out the Free Application for Federal Student Aid (FASFA). You may not be considered for any type of alternative loan unless you’ve completed this step. And many scholarships and grants require you file a FAFSA, as well. When your federal loans have been disbursed to your college you may find you still have to make up the difference in alternative student loans. Students are urged to explore as many lenders as possible that offer private financial options. Remember that these are not federally regulated loans, and may have varying interest rates and fees. Repayment may also begin while the student is still in school. Study your options carefully. Alternative loans require you submit to a credit check when you apply if you are borrowing on your own. Unless you have a record of good credit, which means you must have some credit established, you might just start looking for a co-borrower who has good credit. Many students use a parent or other relative. And statistics show that nearly half of all undergrads need to use a co-borrower. Several programs allow the co-borrower to be removed from the loan once a stable pattern of repayment has been established. Don’t be surprised when your lender requires you to begin monthly student loan payments on your interest as soon as your loan is disbursed. You want to make sure you do not default on these. However, if you really have problems paying, your lender may allow you to defer payments, or determine other repayment options - another perk of working with a company that specializes in student loans. If you have multiple federal or private loans and struggle to meet monthly payments you may be a candidate for loan consolidation. However, many lenders have suspended consolidation programs due to costly federal fees for making such products available. In their place, though, you’ll discover that an extended loan repayment schedule has been added to the repayment options. An extended plan offers borrowers significantly lower monthly paymentst by stretching out the time for loan repayment. The Direct Loan Program also offers consolidation options.